When you think of Spain and Spanish culture, flamenco immediately springs to mind. Dramatic dancing, soulful tunes, colourful costumes and the rhythmic strumming of acoustic guitars are the iconic images and sounds of Spain. We had a few wonderful encounters with flamenco in Seville, and they were some of the highlights of our trip. So when you visit Andalucia, make sure you spend some time learning about this centuries old art form. It’s the heart beat of the city and completely exhilarating. Flamenco is not a single dance but a family of song, dance and performance that started in Andalucia. Some say flamenco was born in the Triana neighbourhood of Seville although several other places in southern Spain also make this claim. 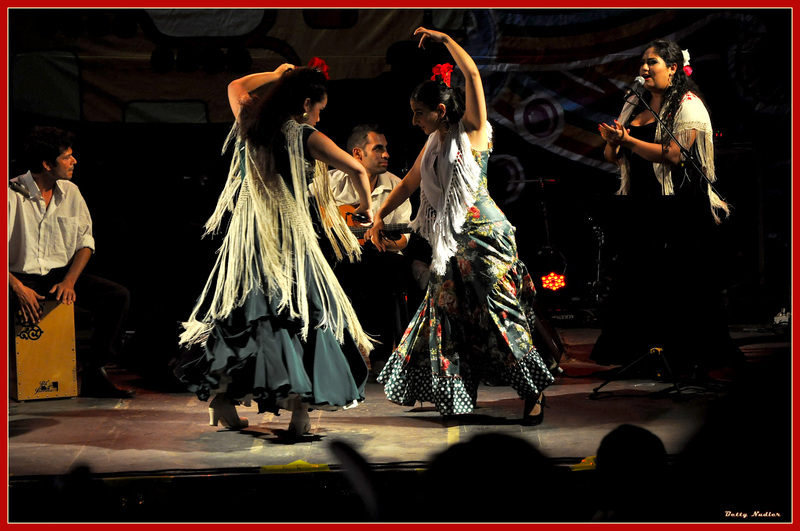 Regardless, its roots are in the folk dances brought to Andalucia in the 15th century by gypsies or gitanos. These people travelled across Europe from as far away as India and Iran to escape persecution, picking up snippets of folk music and dance at the stops they made along the way. When they reached Andalucia, their emerging culture fused with Moorish influences and evolved as a unique form of artistic expression. At its core are cries and chants backed by rhythm made with hands and feet. It’s this outlet of raw emotion and passion that makes flamenco so special. Before travelling to Spain I thought flamenco referred only to the famous dramatic dance movements and guitar playing. In fact there are four different elements to flamenco – each with its own nuances and techniques. Cante refers to the voice or singing approach. The most important of these are Cante Grande – the most deep and profound songs about death and anguish. Cantadores or flamenco singers like Manolo Caracol are feted throughout Spain. 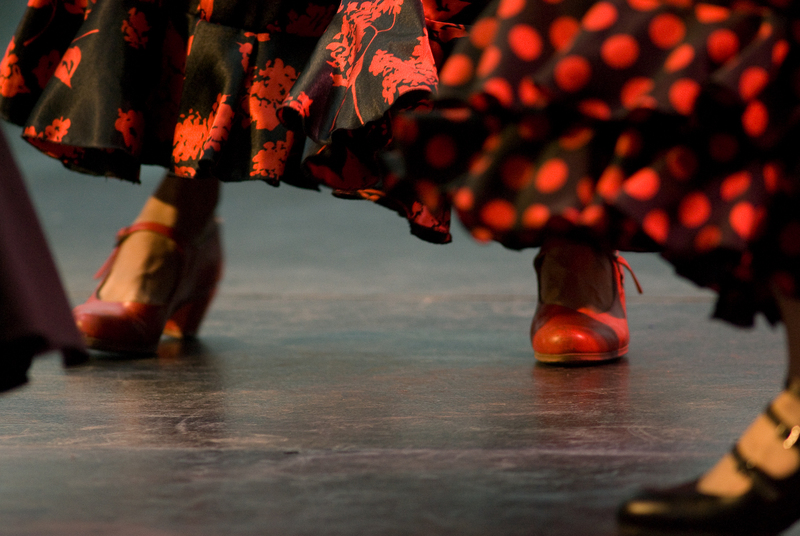 The many different steps involved in flamenco dancing are referred to as Baile. 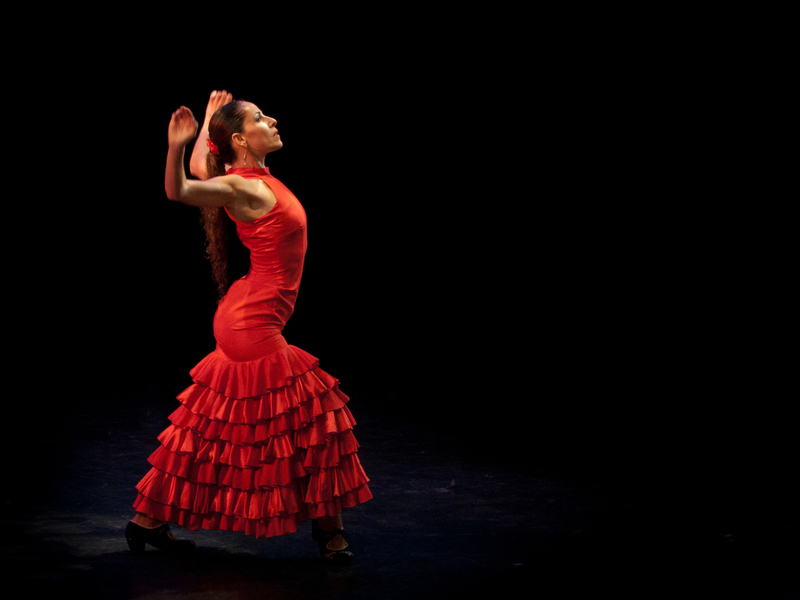 Like the cante, flamenco dance movements have different flavours. The raw expression of the gitano style is in contrast to the technical precision and years of training required to be a classical flamenco dancer. The Palmas (hand claps) and zapateado (foot stomps) may look easy, but you need skill and practice to perfect the intricate rhythms. The dancers also have to manage props like castanets, fans and shawls. Toque – refers to the flamenco guitar playing that requires a unique instrument and many special techniques to produce the traditional melodies and sounds. One of the most critical (in my opinion) elements of flamenco is the Jaleo, which roughly translated means “hell raising”. This is the foot stomping, rhythmic hand clapping, and spirited shouts of encouragement that makes flamenco so unique. Lastly, the soul of flamenco is known as duende. It’s the intangible spirit that takes over a performance and something the Spanish believe can only be conveyed with the emotional maturity gained through life experience. It wasn’t until the late 18th century that the art form we know as flamenco was documented. Since then, over 50 flamenco palos or styles have emerged. Different technique combinations are used depending on the style. Some are simply sung unaccompanied, some use guitars and others are danced with or without music or a partner. Each has its own melody, lyrics, rhythm and beat. Cantiñas, Alegrías and Bulérias are festive and joyful flamenco styles. While others, like Tangos and Tintos, are more emotional and sometimes tragic. They explore themes of unrequited love, betrayal and passion. Some of the styles are specific to particular regions and events. The Fandangos de Huelva (a city south of Seville) is performed during the annual pilgrimage to Rocio – the Romería del Rocio. Seville’s annual spring festival – Féria de Abríl en Sevilla – inspired the lively Sevillanas partner dance, perfect for celebrations. Just follow your ears and wander the streets of Seville and you find flamenco. The sound of rhythmic guitars, clapping hands, stomping feet and soulful voices follow you wherever you go. But if you want to be a bit more systematic about your flamenco experience, here are some recommendations for discovering the flamenco tradition in Seville. Established by famous flamenco dancer Cristina Hoyos, the Museo del Baile Flamenco (Flamenco Museum) should be your first stop. Here you learn about flamenco styles and history of the art. Close to the Cathedral and Real Alcazar in Seville’s old town, the museum is small but has many interactive displays. They showcase the many different forms and styles of flamenco. I particularly loved the life sized videos of performances and the wonderful costumes. Did you know that the famous colourful and dotted flamenco costumes were adapted from those worn in Seville during their famous Spring festival – Feria de Abril en Sevilla? The museum is open daily from 10:00am to 19:00pm including holidays. The flamenco museum hosts live performances daily in their beautiful courtyard theatre. Lasting around an hour, the shows are soulful and dramatic. A male and two female dancers are accompanied by two male singers and a guitarist so you experience a broad range of styles – from a heartbreaking Tiento to the jubilant and fun Alegría. Even people who think they are not very interested in dance (perhaps some men..) would enjoy this show. It’s fast paced and energetic enough to transfix our fidgety four year olds. We walked out of the theatre on a high, so glad that we had reserved tickets the day before. In fact, we were lucky it was not peak tourist season. Be prepared to book in advance for the best flamenco shows in Seville. Make sure to get there early to secure a coveted front row seat where you can watch the amazing foot movement. Also worth noting, cameras and video recording is not allowed so you must submit yourself to the moment. You can see flamenco performances at several other venues in Seville. Known as tablaos, these theatres have nightly performances where you can enjoy a drink and sometimes dinner with your show. The cost is around €50 per person depending on the venue. As I mentioned, you literally stumble upon flamenco in Seville. On street corners and in shady plazas, guitarists and dancers put on small shows for visitors and locals alike. I have no way to judge the technical standard of the dancing we saw on the streets of Seville but the atmosphere was joyous and friendly. Crowds gathered around and shouted many encouraging olé‘s. By this stage of the trip, our daughter was becoming little obsessed with foot stomping, clapping and the wonderful swooshy dresses that she demanded to have her photo taken with the very obliging dancer. If we had been travelling without kids I would have tried to find a peña. These are the small Seville flamenco bars where it is said you witness the most raw and pure flamenco. Often in tiny venues, audiences cram in like sardines to watch the art form at its passionate best. There is no schedule of performances, you just have to be lucky to spot an advertisement on a lamp post or hear some music floating down a street. Now that’s my kind of adventure. In a city so rich with beautiful sights, food traditions and culture, it is hard to pick an ultimate highlight. But as I reflect on our trip, my favourite experience was discovering the rich and mysterious art form that is flamenco. Even now I can hear feet stomping, hands clapping and colourful skirts swishing dramatically past our faces. Olé! What’s your favourite memory from Seville? It’s totally your scene Erin. Maybe one for a girls trip with C? Ah yes, flamenco is so much more than just a dance. If you ever saw a ‘spontaneous’ Flamenco (or Fado in Portugal for that matter) instead of a show, you are so lucky. I happened to be in Sevilla for a festival of some sort and everyone was dressed up beautifully and there was flamenco everywhere, so impressive. The dresses are stunning and so dramatic. We loved Seville – it’s a city with so much culture and history but also a laid back vibe. Oh! and the tapas! I love that flamenco incorporates duende. As a woman of a certain age I completely appreciate when cultures embrace “emotional maturity gained through life experience.” So refreshing. Thanks so much Shelley, I completely agree about duende – it’s that intensity of spirit that can best be conveyed having experienced decades of highs and lows. Here’s to jaleo too! It’s hard not be impressed by the athleticism of the dancers and their amazing costumes. Plus the performances are usually quite short! This is one performance where you need to be up close to experience the intensity! I don’t think I’ll ever forget the flamenco performance we saw in Barcelona 5 years ago, it is a very dramatic and emotional style of dance. But this article entices me to want to experience it all over again in Seville. Thanks Hilary, I can see myself back in Seville some day too ?? Sorry to hear you’re injured Kat but I reckon flamenco is probably the most fierce dance you could do and after all it’s all about the duende or spirit! Seville is my 1st or 2nd favourite Spanish city for good reason (I keep chopping & changing with Barcelona!). Great blog bringing back some brill memories. We also visited the flamenco museum and thought it was totally brilliant with the show too. 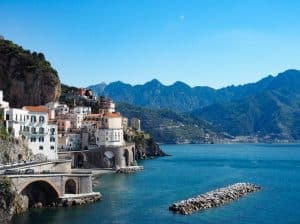 Wonderful tapas bars alongside so much else make it a hard to beat destination not just in Spain but the whole of Europe! I agree Wilbur. I am absolutely smitten with Seville! How very interesting. I knew nothing about flamenco before reading this, but now I would love to go and experience it all for myself. Love that woman’s red swirly dress – well all the dresses really, but how fun to come across it casually on the street. Mind you’it’s the museum I’m really aiming for – and I like the idea of having a performance there that deliberately showcases the phenomenon. Those dresses are magnificent. Can you imagine a 4 year old girly girl’s face – she was mesmerised! I love the interconnectedness of all these things – flamenco being linked to the gypsies / gitanos and their travels through Europe and the Moors, and the influence on the Ahlambra that you wrote about in a previous post. Great post. #farawayfiles. PS I’m with Katherine above, would be fun to give it a go. I’ve always loved watching people dance the flamenco – it’s just a dance with so much spirit…which I now know is called duende! I didn’t know that there were 4 separate elements to it, so it was very cool to learn that from this post. I’d love to head to Seville to see the street performers dancing the flamenco, and for tapas of course! Ah you’re taking me right back to early holidays in the late 1960s and 70s when we visited Spain as a family and I was obsessed with flamenco dresses and castanets! It took until late 2016 before we eventually got round to visiting Seville and I just loved the city. We didn’t go to see a Flamenco show – and now I wish I had. So much color and life! I can see why you walked out of the theater on a high! I love discovering the culture through things like dance. What a beautiful expression flamenco is! It is such a great experience to enjoy the culture of the country you are visiting. We will be in Spain in September. We will visit Barcelona. I am hoping that we will be able to see the locals dancing their traditional sardana! Oh my how I long for some heat and foreign travels at the moment. Seville and Andalucia would be just the ticket. I have learnt a lot about flamenco through your post and fabulous photos – thank you! Well of course there is all that.. plus more as you’ve discovered 😉 I loved it!